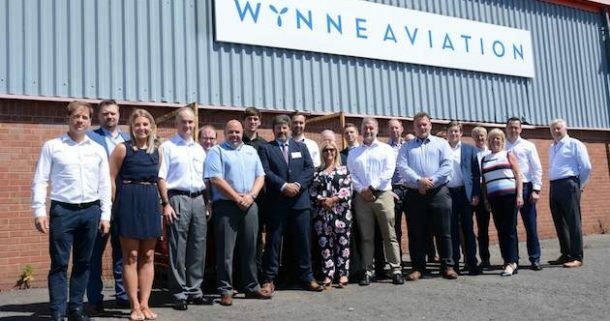 Tom Hughes, Business Development Director, explained how Wynne Aviation is a family-run business that has taken over freight at Liverpool John Lennon Airport. The Peel Group ran the airport, then sold it to a Canadian company, during which time aspects such as freight weren’t a priority. Peel has now bought the airport back and there is a desire to increase the amount of cargo coming into the airport, and Wynne Aviation is helping to ensure that the level of service is excellent, with the freight transfer from aircraft to customer being seamless. Wynne has an automotive specialism, and the company can unload a plane and get parts delivered to BAC for the Mono in just 16 minutes 47 seconds! Declan McGuire from Liverpool John Lennon Airport also gave a presentation, talking about the investment that Peel has been putting into the airport to grow passenger numbers, and encouraging more cargo by reducing fees. The member presentation at the event was from Melo World, a company that designs, manufactures and installs communication display materials and signage for sites such as car factories, specialising in 5S.